Dialysis patients on holiday in Brussels? 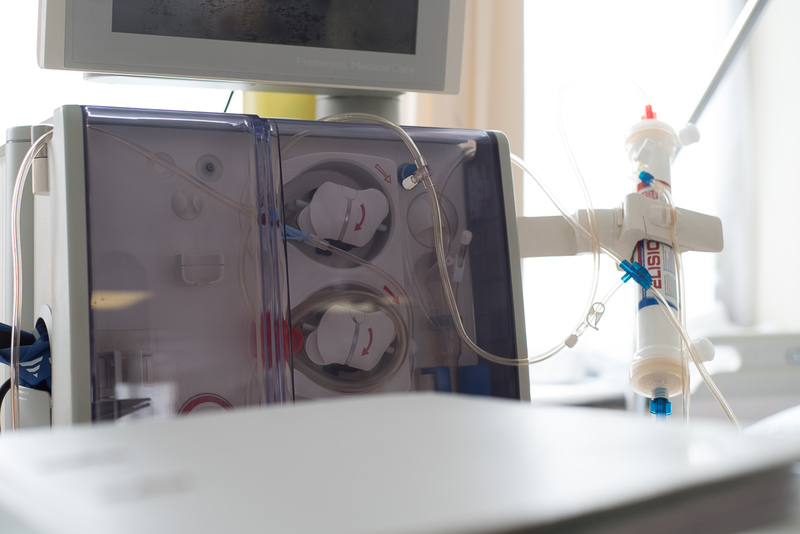 We can take care of your dialysis treatment! The department provides care for patients with kidney diseases. It also tries to prevent some of these maladies by using the appropriate treatment. To do this, our nephrologists-internal medicine specialists work in collaboration with endocrinologists, vascular surgeons and radiologists. The dialysis centre at the Clinic Saint-Jean has 28 dialysis stations, divided between 3 rooms, for haemodialysis and peritoneal dialysis treatments. Our medical team also operates in Hal (Regionaal Ziekenhuis Sint-Maria) where we have 13 dialysis stations. 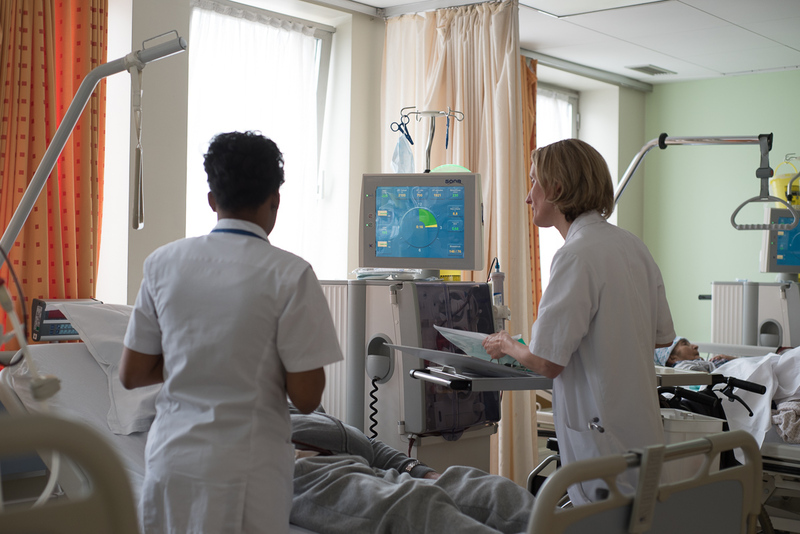 We also have 13 dialysis stations at the Valida hospital centre in Berchem-Ste-Agathe. This creation of this centre was a collaborative effort between the Clinic Saint-Jean and U.Z. Brussel. Opening hours and appointments for the Regionaal Ziekenhuis Sint-Maria Halle, the Valida Hospital Centre and the Tilleul Medical Centre in Evere. 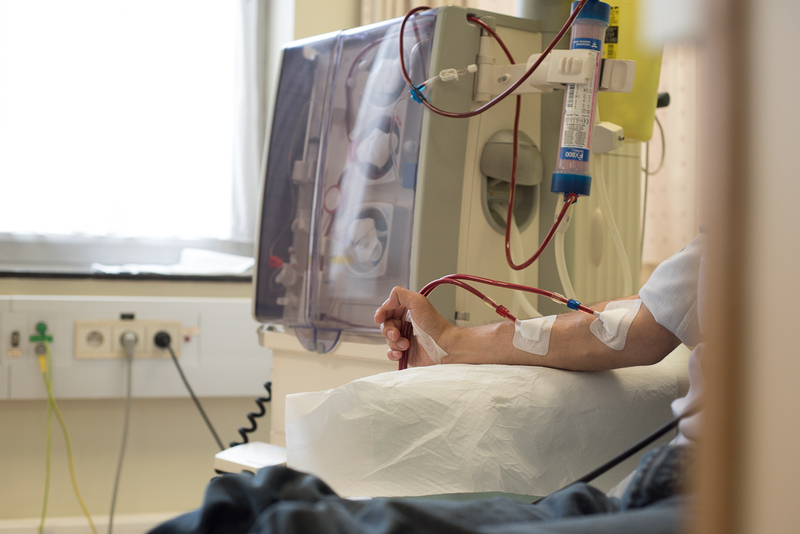 Dialysis patients are entitled to certain benefits. You can contact the social worker from 8:30 a.m. to 2:00 p.m. on 02 / 221.90.31.